You are here: Home / Loving Nature / How to make a Bug House. And why? Last week there was a bit of cabin fever going on in our house. Brooke and I HAD to get out and about. 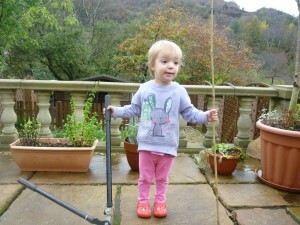 As baby was sleeping, we couldn’t go far so we decided to go out in our garden and ‘look for nature’. We found moss growing on the path, lots of daddy – long- legs, a teeny tiny snail on a plant and a partially ‘naked’ tree, quickly made fully naked by Brooke as the leaves were way to temptingly loose! Was really cute though as she felt bad afterwards that it was going to get cold so wanted to put the leaves back on! That 20 minutes or so was all we needed to sort ourselves out and calm down before going back inside to do whatever needed doing next and I have decided to make sure we go ‘outside to look for nature’ every day for at least 20 minutes, no matter what. With winter coming along quickly now, there wasn’t a lot of nature around so we decided to make a bug house the next day. I based what we did on these pretty drawings and although not beautiful or perfect, they were fun to make and hopefully the bugs won’t mind! It’s really important to try to provide nature like bugs and nunu’s with places to live over winter. 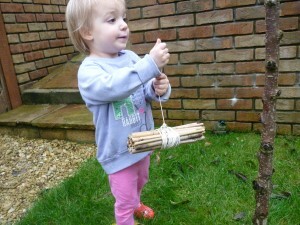 Natural materials are best to use but if there’s nothing available, there are loads of different ways to help them out. We made two different types and this is how we made them. 1. 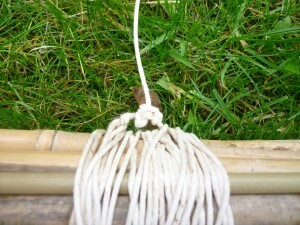 Cut about 20 pieces of bamboo (15-20cm long). We used garden canes from our beans! 4. 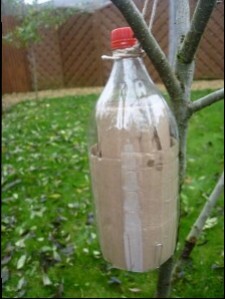 Hang it up somewhere safe and cosy, out of the wind for the bugs to do their thing! 1. 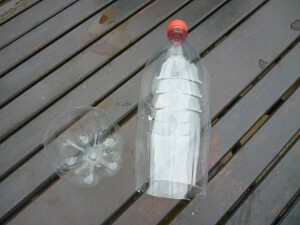 Cut a clean, dry bottle in half. Keep the lid on tight. 2. 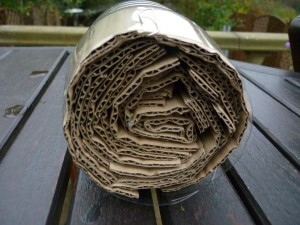 Roll up corrugated cardboard to fit inside the bottle. Secure with paper clips. 3. Another granny knot of string to hang it up and it’s done! There you have it! 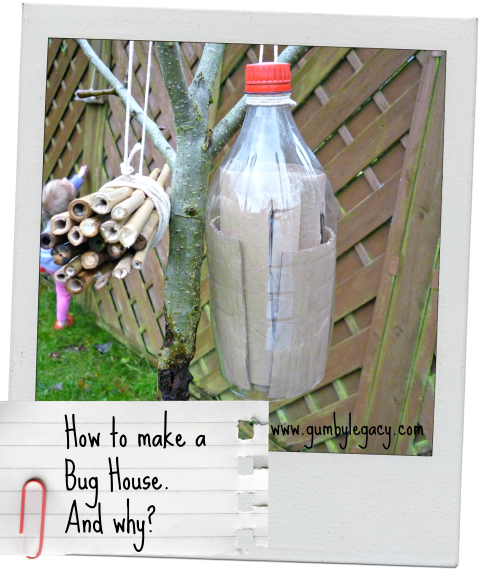 Two times, hopefully appealing to bugs, bug homes! Easy peasy and good, quick, nature friendly fun, out in the fresh air. A winning activity all round. 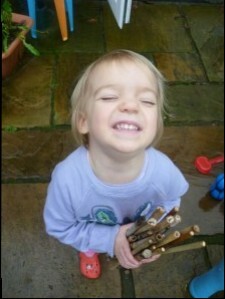 Hope this has inspired you – put your pics on the Facebook page please! Awesome 🙂 be great to know if you get residents in yours!